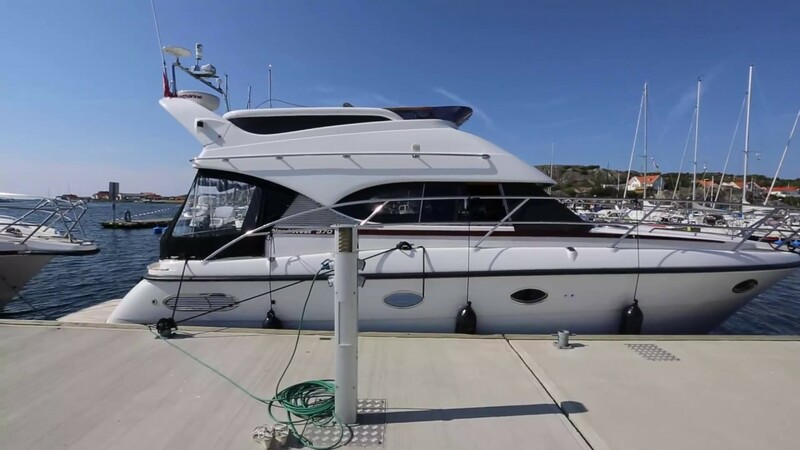 NordWest 370 Flybridge with the new stern with bigger cockpit and fenderbox on bathing platform. The layout has three cabins with five berths. Saloon has a turnable passenger sofa and galley on starboard side. The VAT is paid in EU. All tanks are in stainless steel. The equipment list is believed to be accurate, but we reserve the right for errors. Two owner since the boat was built. Only used in Sweden. Winter stored in-doors each year with full maintenance. Full documentation available. Viewing in Marstrand by appointment.